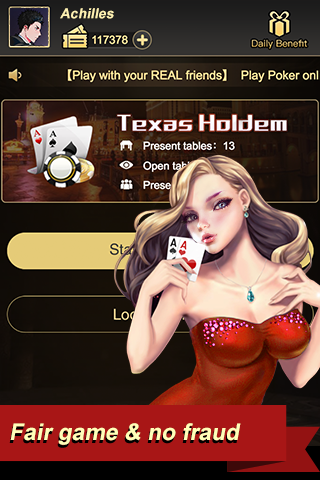 Now the most popular poker game-Texas Holdem-is available on Instaplay. You can play it for free. 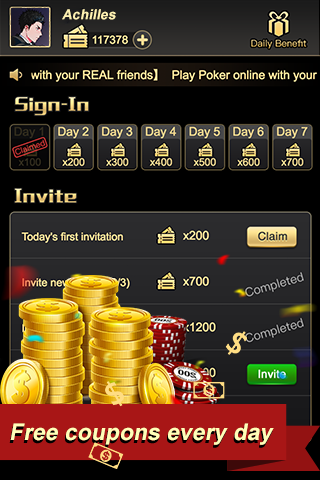 It is the most convenient and real-man Poker online! Have you found that? You won’t meet the random players matching by the system. Instead, you need to send the inviting URL, which they can join your table, to your friends. In our Texas Holdem, you must play with real guys, not computer. Yes, this Texas Holdem is definitely a fair dealer, which makes your stakes safer and the game more exciting. 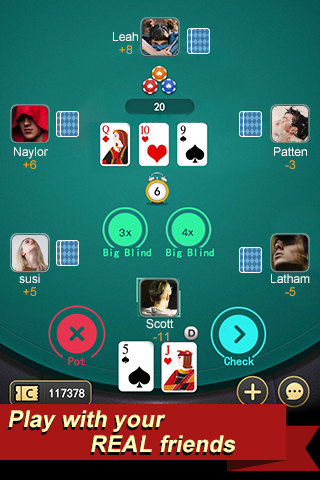 Texas Holdem is a website game. You can play on any devices and any browsers. whether you are in a party or apart from each other, you can play it together with your Facebook account. A fair poker system to avoid cheating. Multiple network encryption to ensure your protecting your privacy. 4.j And it is FREE!!! No chips. Costing only coupons and you can claim thousands of them during Beta. You can enjoy endless entertainment in Texas Holdem, whether you’re a beginner or an expert.